INSCAPE: CHICAGO BLUES GREAT "MAGIC SAM"
It was 1966 when I first saw Magic Sam live on Chicago's West-Side. He was playing in a large bar that reminded me of one of those ubiquitous Chinese restaurants, bare of furnishings, with very low ceilings and gray Formica-topped tables scattered everywhere you could see. However, at first I could see nothing because the place was packed. My brother Dan and I managed to squeeze through the small front door and kind of flatten ourselves up against the back wall. That was my first introduction to Magic Sam, who was playing that night with harmonica player Shakey Jake Harris, Sam's uncle. There we were, my brother Dan and I, perhaps the only white people in an otherwise all-black bar, listening to music that made the hair stand up on the back of my neck. How was I to know that only a few years later Magic Sam would pass-on at a young 32 years of age. I heard him again live in 1969 at the first Ann Arbor Blues Festival and got to meet and interview him. Not only was Magic Sam a unique singer, but he could play the guitar like few others. Listen to a few tunes take from the great Delmark album "West-Side Soul." "Every Night and Every Day"
"I Need You So Bad"
"I found a New Love"
And here is Magic Sam's version of "Sweet Home Chicago" and the tune "Mama, Talk to Your Daughter," featuring some Sam's guitar work. "Mama, Talk to your Daughter"
Magic Sam was born Samuel Gene Maghett in Grenada, Mississippi on February 14, 1937, and died December 1, 1969, not long after his taking the first Ann Arbor Blues Festival by storm that September. He moved to Chicago in 1956 and soon became a familiar performer in the West-Side clubs. He recorded for Cobra Records from 1957 to 1959, and his tune "All Your Love" influenced many Chicago players. 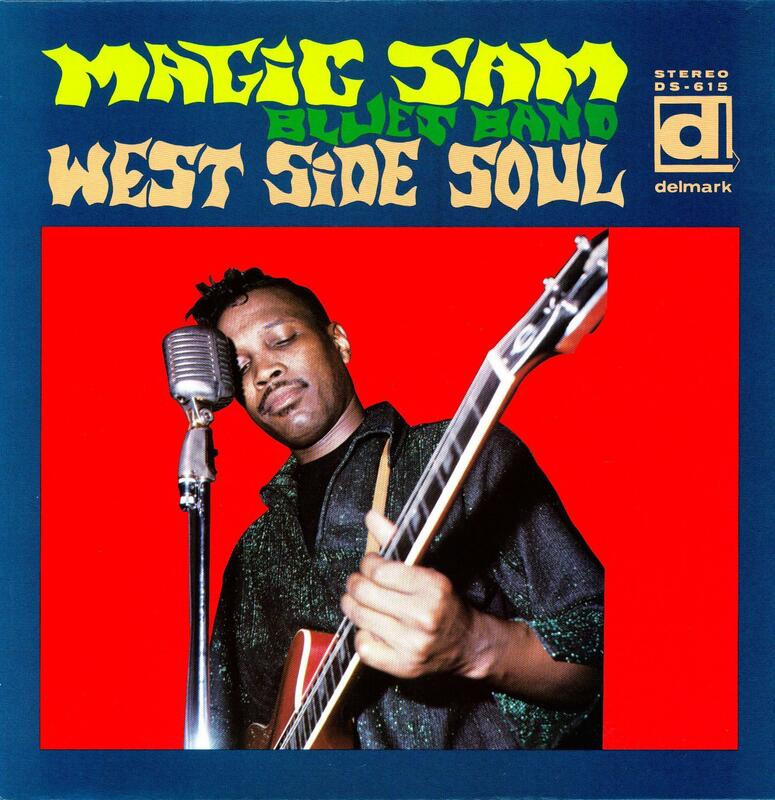 As mentioned earlier, Magic Sam was a big hit at the first Ann Arbor Blues Festival in 1969. The blues world was stunned by his loss. Not only was Magic Sam one of the most unique blues performers, his gentle nature and innate kindness to others endeared him to everyone who came to know him. In the middle 1960s I made a number of trips to Chicago, usually with some members of our band (the Prime Movers Blues Band to Chicago) to search for old blues 45s and to visit the blues clubs on Chicago's west and south sides. Our drummer Iggy Pop also studied blues drumming from Sam Lay, the drummer for the Paul Butterfield Blues Band. Anyway, we were befriended by Bob Koester, the owner of Delmark Records, one of the most important blues labels in the country. Koester was kind enough to introduce us to the black blues venues, taking us here and there where we could listen to our blues heroes live and in person, players like Junior Wells, Buddy Guy, Muddy Waters, Big Walter Horton, and so many others. I can never thank Bob Koester enough for his kindness. He is a towering figure in the history of blues recording and a personal hero to me. Thank god there are people that pop up in our lives that are about something more than money and greed. Koester was one of these. He is still working today, now in his eighties, recording and running the Jazz Record Mart in Chicago.